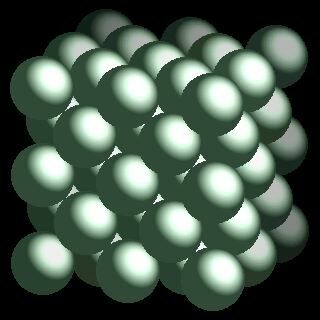 Actinium atoms have 89 electrons and the shell structure is 2.8.18.32.18.9.2. The ground state electronic configuration of neutral actinium is [Rn].6d1.7s2 and the term symbol of actinium is 2D3/2. Actinium: description Your user agent does not support the HTML5 Audio element. Actinium is dangerously radioactive. The chemical behaviour of actinium is similar to that of the rare earths, particularly lanthanum. It is found naturally in uranium ores and actinium is 150 times more radioactive than radium. This sample of uraninite contains some about 10-9 grammes of actinium at any one time. Image adapted with permission from Prof James Marshall's (U. North Texas, USA) Walking Tour of the elements CD. The solid state structure of actinium is: bcc (body-centred cubic). 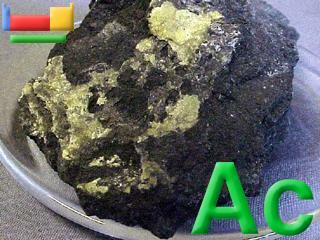 Actinium has no biological role. Reactions of actinium as the element with air, water, halogens, acids, and bases where known. Binary compounds with halogens (known as halides), oxygen (known as oxides), hydrogen (known as hydrides), and other compounds of actinium where known. Bond strengths; lattice energies of actinium halides, hydrides, oxides (where known); and reduction potentials where known. Actinium was discovered by Andre Debierne in 1899 at France. Origin of name: from the Greek word "aktinos" meaning "ray". 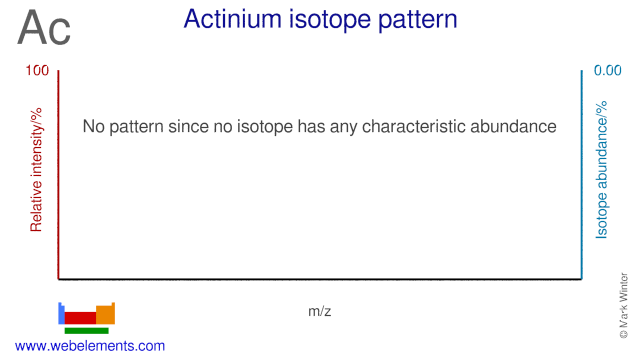 Isotope abundances of actinium with the most intense signal set to 100%.